More engagement, collaboration, and productivity—these are some of the main reasons why businesses are moving their infrastructure to the cloud. And when done right, introducing new technology like Office 365 into the workplace can pay for itself within a few years. According to a report by Forrester Research, SMBs that successfully adopt Office 365 across their organization see an ROI of 168% over just three years. 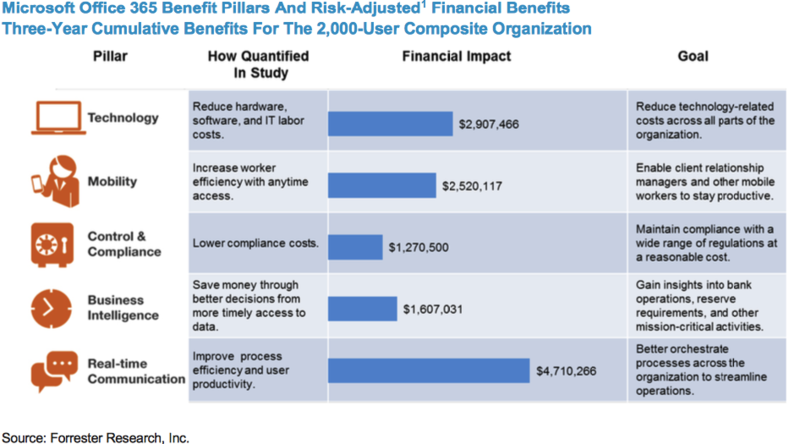 So how do you execute a successful organizational change and drive Office 365 usage adoption? Let’s find out. Your company migrates to the cloud, and every employee participates in the seamless adoption of Office 365 over time. They start to explore the many different productivity tools, such as SharePoint, Yammer and Power BI. They play around with useful features like Flow, Delve, and Planner, depending on their work styles. Communication improves at all levels, creating more collaborative relationships and projects thanks to tools like Yammer and Teams. Soon enough, everyone is managing multiple tasks effectively without having to invest a lot of time and budget into training or technical support. Sounds great, right? While this isn’t too far-fetched to be a reality, it doesn’t look like that for most businesses, big or small. Here’s why. In most cases, driving Office 365 adoption across an entire company is a big challenge. Even though Microsoft offers a slew of outstanding apps and features, learning to use them all effectively is time consuming. And with new features being added or improved all the time, it can get even more complicated and overwhelming. Can you relate? If so, think of how this affects the rest of your organization. Your employees probably have a lot of work on their plates and thus don’t have the time to properly learn what Office 365 can actually do for them beyond just email and document management. And just like that, the majority of Office 365 apps go unused. In fact, most are only using 20% of Office 365’s functionalities. Maybe a few employees will engage with some tools, but most will stick to what they know like checking email, viewing calendars, and managing documents. They’ll continue to work the way they always have without knowing that more advanced functionalities exist because they probably don’t have the required skills. Not seeing the results you were hoping for with Office 365? Here’s how you can achieve the levels of ROI that Forrester found in its report. Answer this question: How does your organization handle the first few days, weeks, or months of onboarding new hires? Most likely by training them to do their job properly. Because you certainly won’t see a return on your investment with a new hire unless they know how to do their job, right? So how is that different from providing them with the proper training to help sharpen their skills with a software suite like Office 365? (Hint: It isn’t.) You’re paying a subscription fee for a whole bundle of productivity apps, after all—if your employees only use a small fraction of those apps, then it’s a wasted investment. QuickHelp accelerates adoption of Office 365 through a personalized e-learning journey that fits individual needs. It provides the right content at the right time through gamification and interactive, engaging training materials. When was the last time you or your team had to sit through a PowerPoint session of traditional training or a dull video tutorial? Too often, training isn’t designed around the individual, which means the content has little or no relevance to their own needs. It’s no wonder, then, that training is seen as not only expensive but also unnecessary and a waste of a workday. QuickHelp is affordable and saves you time. For example, QuickHelp’s catalog of on-demand and suggested or browsable content is a great resource to increase productivity and adopt new Office 365 apps faster. 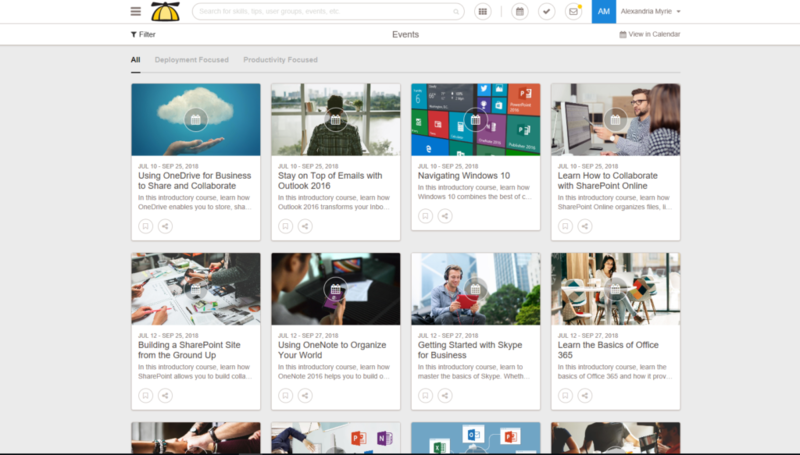 It even offers a library of 45 new live training events each month for apps like OneDrive, Teams, OneNote, and more. And you can’t forget Microsoft’s continuous rollout of new Office 365 features. How do you keep up? After all, no business wants to be left behind when it comes to technological updates. With QuickHelp, you set the time and date based on your availability. 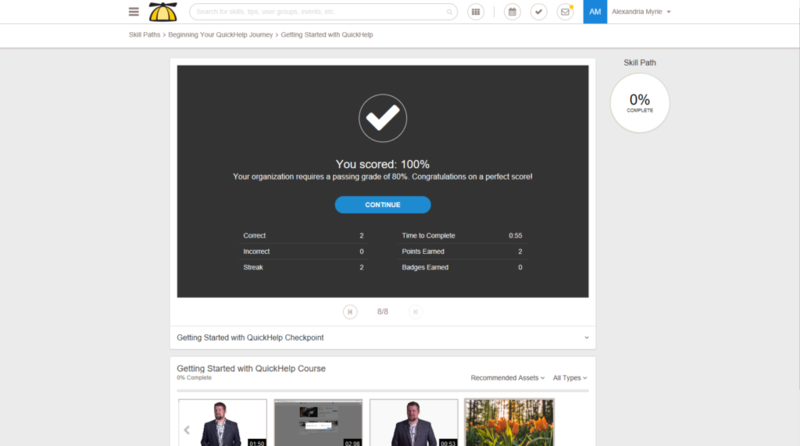 If your business objective is to stay productive, competitive, and profitable (of course it is), one approach is to create a successful learning culture that helps your employees stay up to date with the latest Microsoft content and sharpen their skills with the Office 365 tools they need to do their jobs better. Of course, that’s just scratching the surface. Here’s a list of more ways QuickHelp’s Office 365 e-learning can benefit your business. Enhances the learning culture and productivity of your organization. One skill path can save each employee an average of 18 minutes per week. Live events can save users an average of one hour per week. Templates and other content provided by QuickHelp and SherWeb help save time. Gamification for long-term user engagement. Topics focused on specific applications and soft skills catered to you. On-the-spot PDF guides and videos. Grade assessments for individual users. Exportable user assessments and progress. Step 1: Fill out some basic professional profile info. Step 2: Answer questions about which Office 365 tools and apps you already use. This allows QuickHelp to understand your knowledge of Office 365 so it can create a personalized e-learning journey for you. Step 3: Complete a quick video training on how to navigate the program. You’ll be tested on how well you understood the content. That’s it! You’ve just completed your first task. You’ll score points and see how you rank among your peers. Now you can move on to other tasks, browse content, and complete pre-assigned lessons from your administrator. Wondering how QuickHelp admins track a user’s progress? Keep reading! QuickHelp admins can get a bird’s-eye view of a user’s progress. 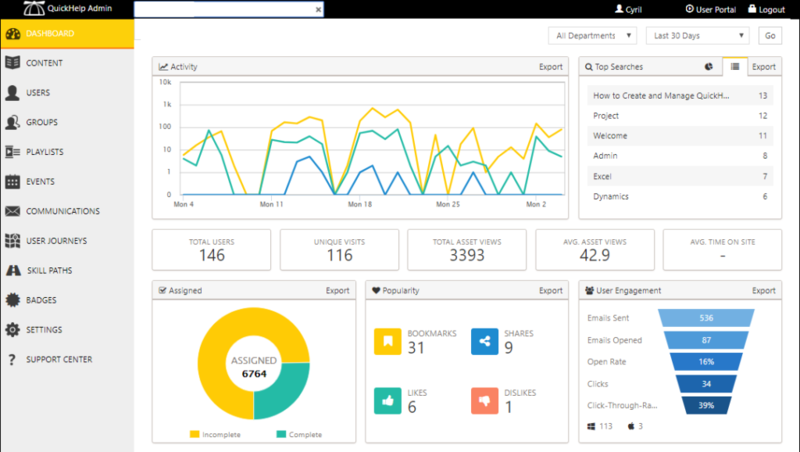 In the QuickHelp admin portal, you can monitor user engagement and see how your employees are interacting with the program. For example, you can see which user journeys are the most popular and what rewards your users are earning. The admin features are also a good way to measure the effectiveness of the program so you can instantly make changes to improve engagement. Publish the Microsoft content that you want users to learn about. Classify your employees based on what they need to learn about. Customize communication—send introductory and reminder emails. Assign a specific journey to a group, whether the user is a new hire or seasoned employee. Learn more about QuickHelp today to kick your Office 365 productivity into high gear.